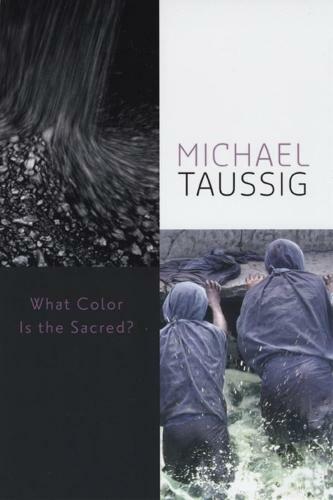 Over the past thirty years, visionary anthropologist Michael Taussig has crafted a highly distinctive body of work. Playful, enthralling, and whip-smart, his writing makes ingenious connections between ideas, thinkers, and things. An extended meditation on the mysteries of color and the fascination they provoke, "What Color Is the Sacred?" is the next step on Taussig's remarkable intellectual path. Following his interest in magic and surrealism, his earlier work on mimesis, and his recent discussion of heat, gold, and cocaine in "My Cocaine Museum", this book uses color to explore further dimensions of what Taussig calls 'the bodily unconscious' in an age of global warming. Drawing on classic ethnography as well as the work of Benjamin, Burroughs, and Proust, he takes up the notion that color invites the viewer into images and into the world. Yet, as Taussig makes clear, color has a history - a manifestly colonial history rooted in the West's discomfort with color, especially bright color, and its associations with the so-called primitive. He begins by noting Goethe's belief that Europeans are physically averse to vivid color while the uncivilized revel in it, which prompts Taussig to reconsider colonialism as a tension between chromophobes and chromophiliacs. And he ends with the strange story of coal, which, he argues, displaced colonial color by giving birth to synthetic colors, organic chemistry, and IG Farben, the giant chemical corporation behind the Third Reich. Nietzsche once wrote, 'So far, all that has given colour to existence still lacks a history'. With "What Color Is the Sacred? ", Taussig has taken up that challenge with all the radiant intelligence and inspiration we've come to expect from him.